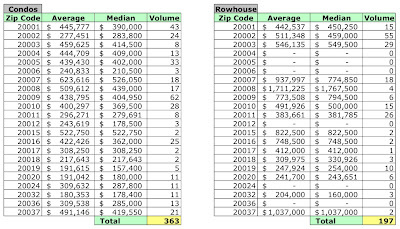 Do you have any statistics on the average condo sales per square foot in the district. 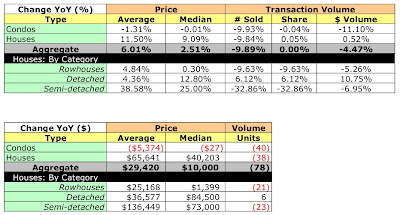 I had some a while ago that showed that the price per square foot of condos had increased dramatically in only a few years, in all categories (luxury, mid-range, etc.). 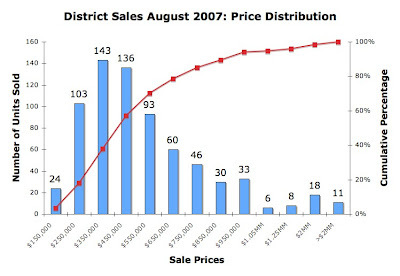 Prices have approached Manhattan levels in some cases, which is extremely unusual. Price per square foot is a good measure since it helps you see what the builders are making since the costs have not increased all that much. It also helps put the big price changes in proper perspective. Yes, I do. Check out the listings I sell for $5 - I provide $ / sq ft for all properties for which data is available. Yes, condo prices have risen dramatically, just like those for single family homes. 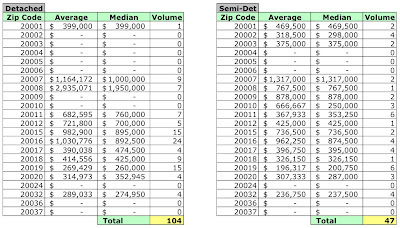 A cursory glance tells me that condos in DC go for $500-600/ sq ft, about double what a single family home costs. 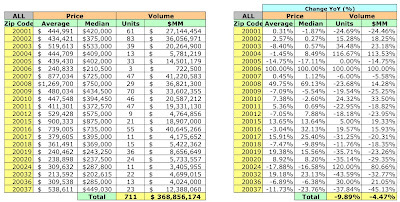 I had intended to say historical prices for condo sales per square foot. I've probably got the data to do this analysis. I'll put it on the list of things to do. If I am understanding your comment about the selection of "Types" of housing by which to exclusively report on.... and are excluding he residential conversions? Is that correct.? Do you not think you are leaving out a large segment of condo information especially for someone who wants the "cndo" no maintenance etc, etc. but does ot like the "large "common" aspect of it.. As we (DMI) predominately develop that type of conversion because the product is much different from the standard condo box . The conversions at least in our product give your condo buyer a completely different experience, and product thus price points cannot be comparative. These buyers who want something other than the cookie cutter condo box, will be ale to accurately budget and research the row house conversions in a different light. (using your information)...If there is a choice .....actually as I am typing it is dawning on me... the only true difference from a single family two story home , and the row house conversion-( into the two two level "condo's") is that your neighbor is attached to you ... so perhaps I should consider the actual description and not call them condo's at all.. your thoughts? I use the classifications provided by the District. 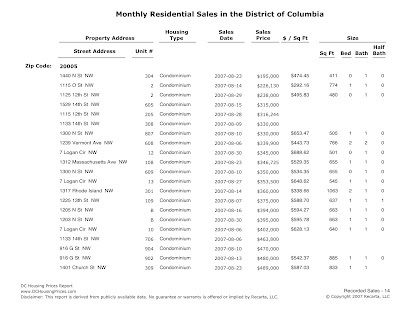 Condos - as I report - are classified by the District as use codes 16, 17, 216, and 217. I exclude use codes 24 and 25 [residential-conversion] because I don't know whether the sale is for a single family home or a multi-unit structure sold to an investor. If the latter, it distorts the analysis. In truth, these represent a relatively small percentage of sales in any given period.